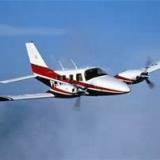 Greetings of the season to all of my fellow Seneca owners, Piper Flyer staff and other Piper Flyer members. It's been a challenging but okay year and I'm looking forward to a great 2014. I'm continuing to restore my Seneca and I hope that all of you have a safe, healthy and enjoyable 2014.